It seems that the rest of the world is catching up to what a few of us have known for quite some time, and that is, “organic” is not necessarily “organic.” The “organic” status of any product appears to rest solely on the honesty and integrity of the company selling the product, and not on the label. Leaders in North America’s organic movement say it’s time to tell consumers that organic food does contain genetically modified organisms. Speaking at the Guelph Organic Conference in early February, Dag Falck, organic program manager with Nature’s Path, one of the largest manufacturers of organic breakfast cereals and snack bars in North America, said the organic movement has to have an honest conversation with the public about GMOs. Despite public perceptions that organic products are GM free, Falck said organic food made from corn, soybeans, canola and sugar definitely contain GMOs. What we have is a USDA National Organics Program (NOP) that is “process based,” with relatively no testing actually required for GMOs that also allows “organic” feed brokers an exemption from organic certification, thereby allowing comingling of organic and other feed at the broker level, and a wide open policy of the USDA to approve anything Monsanto et. al. shoves under its nose. So, I should trust everything labeled “USDA Certified Organic” to be GMO-free? Did you see a pig fly past? ‘Cause I didn’t. 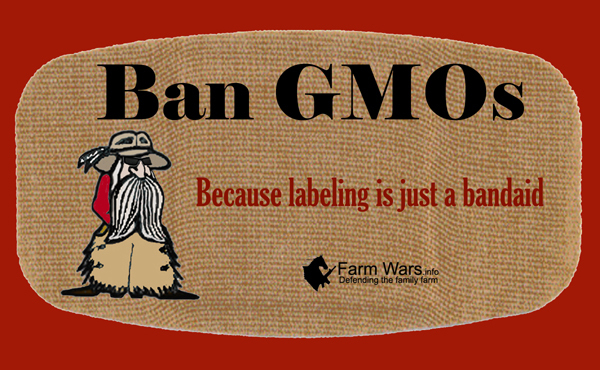 If the good people in the state of Washington have their way, GMOs will be labeled with Initiative 522. At least some of them will be. If Washington’s Initiative 522 passes, raw agricultural products that are genetically engineered, and processed foods with such ingredients, will have to be labeled beginning July 1, 2015. • Food sold in restaurants is exempt, as are alcoholic beverages. 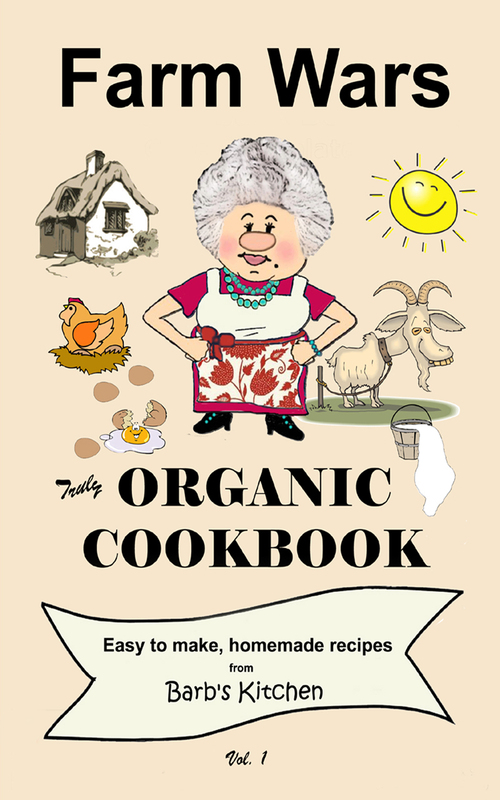 • Certified organic food, which by law can’t contain any deliberately added GMO ingredients, is also exempt. • Meat from animals that are genetically engineered must be labeled, but not meat from animals that ate genetically engineered feed. • Food produced with processing aids or enzymes is exempt if those are its only genetically engineered ingredients. Until July 1, 2019, there is an exemption for processed food in which genetically engineered ingredients are 0.9 percent or less of the total weight. 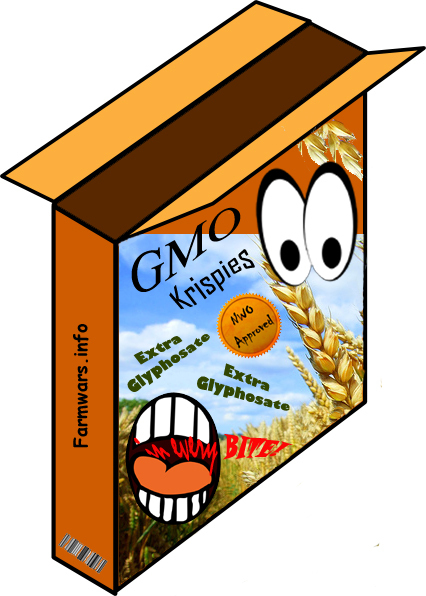 • Genetically engineered seeds sold at retail also would be labeled. Retailers, farmers and anyone else in the food business could be protected from liability if they have statements from either suppliers or an independent testing organization saying ingredients are not genetically engineered. 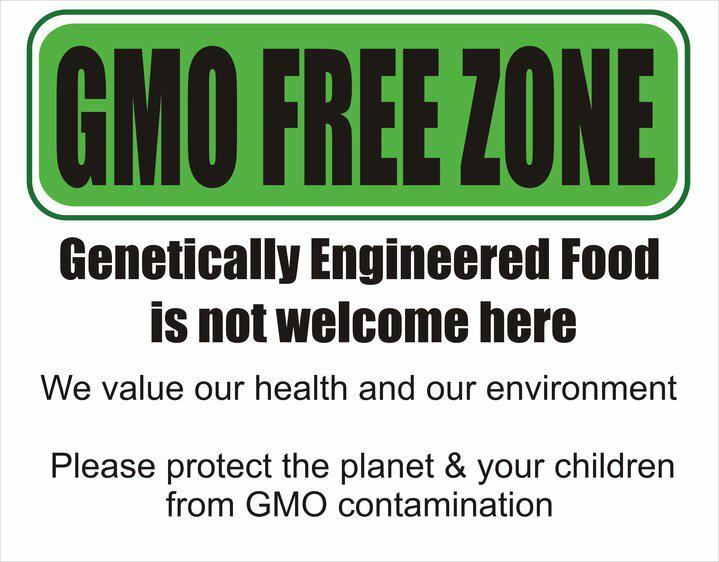 When it is finally exposed that just about every processed piece of food we eat is contaminated with GMOs, and that contamination is increasing due to the lack of a complete ban on GMOs, the exemption standards will not go away. In fact they will most likely rise just like the EPA raised the “safe” levels for radiation and the “safe” level for Glyphosate contamination. Without a complete ban, we are just slapping lipstick on a pig and calling it kosher. So, label if you must, but that is only second best. A complete ban is the best solution. GMOs will not go way unless we make them. 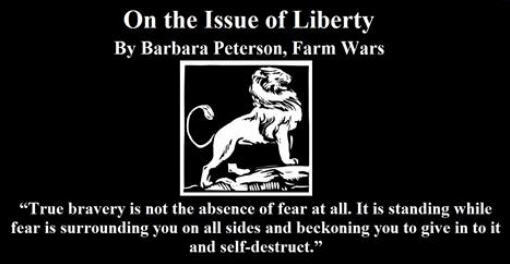 It is up to us, and the USDA, FDA and Monsanto execs are counting on us to not care enough about our health, or are too busy to do anything but comply with their endless propaganda telling us that GMOs will feed the world and end starvation. They are counting on us to just pick up their poison packages and continue stuffing them down our throats until we croak and have killed off and/or maimed most of our children. Yeah. They are counting on our ignorance and laziness. They are counting on us to be in too much of a stupor – working until we are dead tired and then sitting back in our rockers, guzzling beer and eating GMO pizza – to do anything about this total food freedom takeover by multinationals whose only purpose is to increase their bottom lines with our blood, sweat and tears. They don’t care, Pauline. It is simply business as usual and we don’t matter to the PTB. We are only useful as consumers to make them richer. When we are done fulfilling our required task, we are thrown away. It’s that simple. We need to learn how to care for ourselves and make decisions based on our own research and knowledge and not trust anything that comes out of the mouths of bought and paid for politicians or the corporations that have bought and paid for those politicians without a thorough investigation. If anyone thinks that the government actually cares, I’ve got some oceanfront property in Arizona I’d like to sell. We need to stand up and take responsibility off the shoulders of government gangsters who are only in it for themselves and get on down the road. Why would our government want this for us? Where are all the parents to STOP this for their children’s health? GMO food tastes like nothing. I remember how food tasted in the 40’s and 50’s. Big difference. The big increase in kidney disease is most likely one of the goals of Monsanto and the rest. 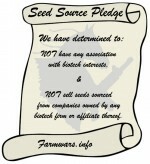 The goal is to have GMO’s abolished. Many other countries can help us with this as we are trying to help ourselves but not succeeding. We need trading partners to refuse to accept our GMO foods and pesticides and many of them are. We really do need the help of the world on this.